Seller will give you a gift certificate in the amount of 5,014 RUB for a positive review of the product purchased. Many gnomish clans disappeared during the Magic War. One of them rushed to the place where no foot had ever trod a single dwarf - into space. Returning from there, the dwarves brought new technology and opened it to their own. 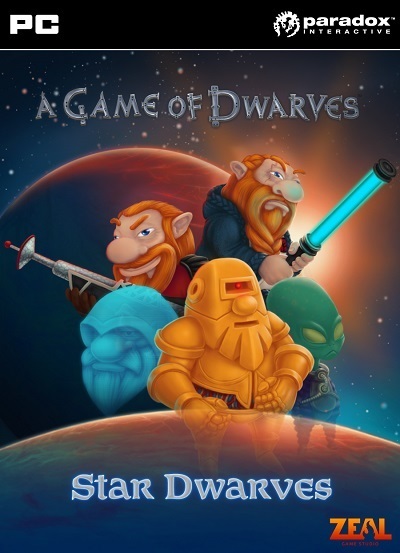 Addition Star Dwarves includes two new combat classes of gnomes, one new adversary and 20 new thematic racks for dungeons. - Two new fighting classes of gnomes: Redshirts, Knight. - The new enemy is Beardprober. - 24 new thematic racks for dungeons. Seller will give you a gift certificate in the amount of 5,014 RUB for a positive review of the product purchased..